As a respected teacher of art, Tracey has been conducting classes and workshops for over 15 years. She has travelled extensively throughout Australia conducting workshops in oil, acrylic and watercolour. 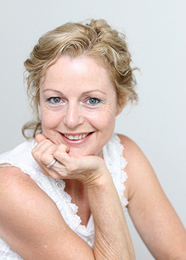 Tracey has also taught in England, Ireland, the US, Singapore and New Zealand. Tracey is available for creative painting workshops where she shares her experience and ideas. She also conducts quilting workshops that incorporate colour theory, design and her new fine art prints on fabric. Design and colour are important aspects of both painting and quilting classes.